With the economy the way it is right now this may help a lot of people out in some savings :). Good time to take advantage of offers that may come your way. Your friends at IPexpert recognize that these are difficult economic times for so many of you. We have heard from CCIE hopefuls around the world that all say that their training budgets have tightened and travel budgets have been cut. We understand that, although the economy has weakened, your CCIE goals remain strongâ€¦ and we want to help you push forward. Today, we are beginning to roll out â€œStimulus Pricingâ€ which will include significant discounts on IPexpertâ€™s world-class training you need to succeed. Already, you can see all-time-low registration fees available for the popular Boot Camp courses that IPexpert is known for – courses that have helped more CCIEs pass the CCIE lab exam than any other training company in the world! Now is the time to take advantage of this special ILT pricing – and continue to push forward with your CCIE certification quest. Distinguishing yourself amongst your peers – and earning your CCIE certification is what will keep your career afloat through these challenging economic times! The Security section of Internetwork Expertâ€™s CCIE Routing & Switching Lab Workbook Volume 1 Version 5.0 is completed and available on the members site. As of now the fully completed and posted sections are Bridging & Switching, Frame Relay, IP Routing, RIP, EIGRP, OSPF, QoS, Security, System Management, and IP Services. BGP, Multicast, and IPv6 remain, and will be incrementally posted next. Hello everybody. Well I promised a post on what I thought of the IPexpert BLS so far since receiving it Monday, and a technical rambling regarding what I have learned thusfar about Frame-Relay. First, I will tell you my thoughts on the BLS. I will preface this by saying I am in no way affiliated with any of the vendors and do not wish to sell you anything. I promise. My first thought when I opened up the little box containing the USB hard disk was “Wow, this is so compact!” It truly is a portable solution. The hard drive is a very reasonable 2.5″ USB 2.0 hard drive with the IPexpert logo on the top of it. It comes with a USB cable. Another thing I love about it, is that the USB provides power to the drive, so no heavy and space consuming power supply to lug around. It is great for studying wherever you want, which for me means wherever I feel like taking my laptop and headphones that night. I don’t have a digital camera right now, but I believe Arden has posted some pics over on his page. When you plug in the drive, you just run an executable to fire up the main “home” page which contains very nicely laid out buttons going to all the major categories such as “Video On Demand” “Workbooks” “Audio Lectures” and “Communities” as well as stuff for rack rentals. I quickly learned that the workbooks are accessible via your online account so that you are sure to have the most up to date copies. While I understand that, I sort of wish they would provide you with all the content printed out and in some nice binders. I did spend a very good portion of my work day printing over 2500 pages of material on our heavy duty xerox color laser printer, punching holes in all the pages, putting them in binders, etc. You get the eBook volume 1 as well as volume 1, 2, 3 of the workbooks with proctor guides. I still have to print off volume 3 🙂 It is definitely an intimidating stack of material to look through. I actually received access to the workbooks a day before my hard drive came so I couldn’t help but flip through some of the scenarios. I quickly realized how much I don’t know. Then I decided I better not get too down on myself, and actually go through the materials first before trying to conquer the world in one night. The audio lectures are also available for download from your online account, so I took that opportunity and moved everything over to my iPod as well. The audio lectures are simply the audio portion of the video on demand classes. I find this pretty cool, because even if I am in the car or at work or something I can get repetition. I used the community feature to join up on a mailing list and have already received a good amount of email from other group members. I’ve been very impressed by the responses given my seasoned CCIEs thusfar. OK so on to the Video on Demand! I was particularly impressed by IPexpert’s choice to use high definition video. It really looks awesome…I mean Scott Morris in shining 720p what more could a geek ask for? The video plays in a proprietary little software application. My laptop is kind of lagging in power with only 512MB of RAM so I do experience some lag from time to time. Not that big of a deal, and I really blame my machine more than anything. I was really pleased to see that the one and only Scott Morris teaches the entire Video On Demand. It’s nice that you still get his expertise here, even after his recent departure for IE. The first video is essentially tips for taking the lab exam. Everything from read the entire exam first, to don’t be afraid to ask the proctor questions to everything in between. We get into the technical meat in video #2 Frame-Relay. It seems every section is laid out into 2 videos. The first explains the technology conceptually, and the second video involves configuration exercises. I am just going to share with you guys the notes I jotted down regarding Frame Relay, and some of my thoughts. The information comes quick. I mean, this is after all a CCIE level course. Nothing is really spoon fed to you. It is assumed you already know a LOT, which I like. The first tip I wrote down was where to find Frame stuff on the DocCD: Configuration Guides/WAN Network Guide, then find Frame-Relay. I printed that bad boy off at work today too…love that Xerox 🙂 I also jotted down the helpful hint that almost every command begins with “frame-relay” so that is a good place to start if you are hunting through the command reference. OK, next we got into LMI vs end to end PVCs. Remember, your LMI is between you and the frame switch only. Of course we have cisco, ansi, and Q933A modes. Your LMI type MUST match the frame switch but it is usually not a big deal these days with LMI auto sense. Another great thing to remember is that the Cisco LMI type is technically supported by many other vendors. Also, LMI type and Frame type are 2 seperate things. We were told that in the real lab your frame switch will likely be hard coded for Cisco…if you get in a situation involving multi-vendor support, probably best to look at your frame type and not the LMI type. Pretty straight forward here, we have Physical, Point-To-Point and Multipoint. Physical interfaces don’t require a frame-relay interface-dlci command. If a DLCI is not defined on a sub interface it is assume to belong to the physical interface. Point-To-Point sub interfaces require the frame-relay interface-dlci command for layer 3 to layer 2 mapping. Likewise, a multipoint interface will use frame-relay interface-dlci or a frame map for the same purpose. 2) Both sides must use the same DLCI – Remember DLCIs are locally significant…but with no frame switch they are locally significant between each other! It seems that we are trained right from the beginning that Inverse ARP with regards to the CCIE lab is pretty much evil. It is pretty much assumed that we will be requested to not use it in the lab. You can accomplish this with no frame-relay inverse-arp. What I found particularly useful was learning that you can disable it per IP address via no frame-relay inverse-arp ip <DLCI> That could help is in a situation where we might be requested to not use static mapping but also selectively use certain DLCIs when having more than one DLCI to get to a certain place. Another good thing I learned was that when a DLCI is placed on a sub interface it will not initiate inverse-arp but will respond to them. Seems it is best to simply disable inverse-arp all together unless told otherwise and stick to static mappings. *Another Fun Frame-Relay Fact* when doing frame maps, you only need to specify the broadcast keyword once per PVC. – Remember when doing show ip interface brief or other commands, the virtual-template interface will actually show as down. This is normal. Well those are pretty much my notes for Frame-Relay. This is getting pretty boring and long, so I won’t even go into my notes on the frame configuration right now. One thing I like about writing this stuff out, is that it really actually helps refresh my memory. Hey even if I am boring, I am at least getting something out of it. Consider this as sort of my personal journal, but viewable to the world. It’s really for my benefit as much as anything else. When I started the configuration video, I got inspired to lab it up for real in my basement. The first part of the video deals with a pretty straight forward Hub and spoke frame network with 1 Hub and 2 spokes. Easy enough…I used a 2520 for my frame switch, a 2511 for an AS, a 2514 for my hub, and a 2501/2502 for my spokes. Unfortunately, I only have 8MB RAM and Flash in most of them, so the best IOS I can still find for download is like 12.1.27 but oh well. It seemed to work pretty well for the purpose. Then Scott added a 4th router for much of the rest of the video and I was screwed because I ran out of DTE/DCE crossover cables. I ordered some more today. I still should really go over actually DOING the back to back exercises as well as the ones involving back to back with frame-relay multilink. Then, when I get add a 3rd spoke going through the other stuff. Well I hope this is useful for somebody out there 🙂 Cheers, I’m going on vacation now! I’ll be out of town this weekend and plan on fully enjoying myself. Yes, I will bring the laptop, but likely not the portable hard drive or any Cisco Press this time 🙂 I plan on hitting the ground running Monday or Tuesday if I’m still wiped out. Joe and I have been going back and forth for months about CCIE topics, exams, hardware setups, etc… He is currently using the Blended Learning Solution from IP Expert and is going to blog on the site here about his trials and experiences when time allows him to.Â He recently just passed his written exam and was starting out the Frame Relay class on demand material. I was going to try to start and post about the IP Expert material, but with my lab drawing closer and closer, and the real life events taking shape I will not have the time. I figured this was a great way to bring in a voice for that material for everybody’s reading pleasure ;). I just finished the bridging section of the cod yesterday and was going to do a write up on it, but Barooq has his up on cciecandidate. It is a good write up, and worth reading just to get a brief overview. 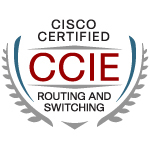 Bridging is an obscure topic in CCIE R&S study. IRB is discussed in Lab 3 of internetworkExpert labs. Basically IRB and CRB are generally used on routers to bridging different VLAN domains. If IRB is used, we can route IP over these bridged interfaces. The topic that is least discussed is Fall Back Bridging that we configure on switches. It is basically for non-IP traffic, and thats why chances of it appearing on the LAB are slim. …If you purchase a bootcamp seat. You do not need to pick a date from what I can tell, you just need to reserve a seat. This seems like a pretty good deal, it would be like getting the full end-to-end program from Internetwork Expert free with signing up for a boot camp. My question is do you get to attend a Narbik camp for the free material? This is a basic example of a Dynamic ACL by allowing web access to a remote server. What we are doing here is allowing a host (R1’s vlan network) to access a web server ( R2’s vlan network) on a remote box. Again this is basic as it is going to get.